“The ultimate measure of a man is not where he stands in moments of comfort and convenience, but where he stands at times of challenge and controversy.” –Rev. Dr. Martin Luther King Jr. Published in Rev. Dr. Martin Luther King Jr.’s Strength to Love in 1963, this quote is just as powerful and relevant now as it was 55 years ago. In 2018, not only do we have to speak out against unjust and culturally disrespectful matters, but we have to defend our right to do so as well. Not even a full month into the New Year, and again, a top brand has missed the mark as it relates to respecting a core consumer group. 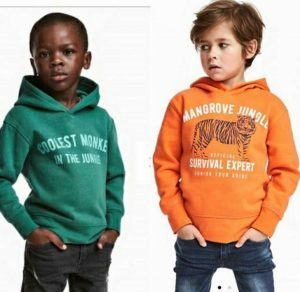 Clothing retailer, H&M recently featured a young boy of African descent on its website sporting a hooded sweatshirt that read, “Coolest Monkey in the Jungle.” If that in itself weren’t enough cause for alarm, a young Caucasian boy modeled a similar item that proclaimed him to be the “survivor” of the jungle. 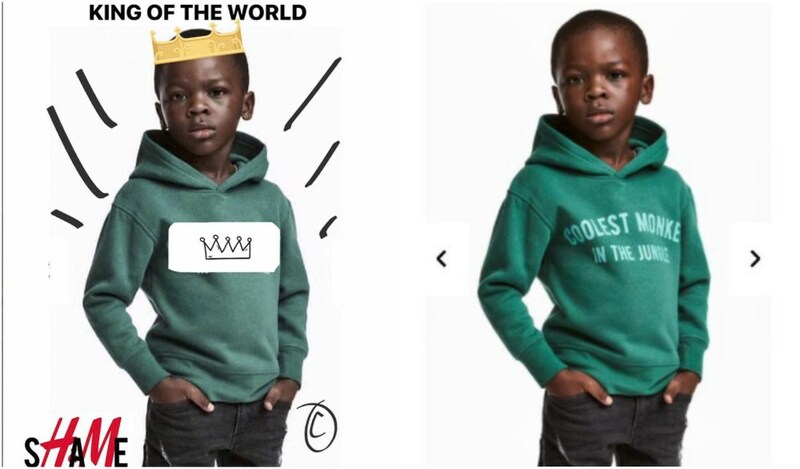 Naturally, Black Twitter and all of who’s who in Black social media immediately spoke out in outrage of yet another blatant slap-in-the-face to Black culture. Some celebrities even pulled support from the brand. Given the historically derogative comparisons between African Americans and monkeys, you’d think a brand would know better. Unfortunately, things like this continue to slip through the cracks because of the lack of diversity in the boardroom. Either there’s no representation in the room, or it is so limited that they are afraid to speak up. In any case, when this happens, someone has to stand up for what is right. Whether that ends up being agencies like Flowers Communications Group that serve the sole purpose of ensuring that multicultural consumers matter; or perhaps influencers like Colin Kapernick who literally risked it all by taking a stand for what he knew was right. His decision to “do the right thing” literally cost him everything, but sometimes, that’s what it takes. What you are willing to stand up for or against says a lot about who you are. Not all brands are positioned to take a stand on all issues, but given the evolution of the consumer and what they demand from companies they support, it becomes a factor for consideration of the brand’s health. As an award-winning integrated marketing agency, stating our position on certain issues could potentially ruffle feathers. However, as multicultural marketers and more importantly, people of color, we have a responsibility to speak up and out for our culture. Just last year, we offered our perspective on a previous brand fiasco that could have been avoided with inclusion of the right voices around the table. Speaking up isn’t about making noise, but about educating those who are uninformed and holding brands and society as a whole accountable. We must continue to demand respect, inclusion and equality, because if we don’t who will? As we acknowledge the contributions of great leaders like Dr. Martin Luther King, we must continue to push the agenda forward in hopes that someday we won’t have to educate the masses on what should be common respect. Preferably sooner rather than later, it will become clear that time is up for this nonsense. Until then, we will continue to use our platform to stand up for what’s right and we encourage you to do the same.